The Rambo Airmax Cooler Rug is an innovative three layer cooler that's ideal for hot days at competition or in the stable as well as after a bath. The outer layer of this Rambo cooler rug is smooth to limit shavings from sticking to it, the inner layer is a soft mesh that wicks sweat and moisture whilst between these two layers there are also polyester strands that create an airspace that both encourages water movement and promotes warmth. 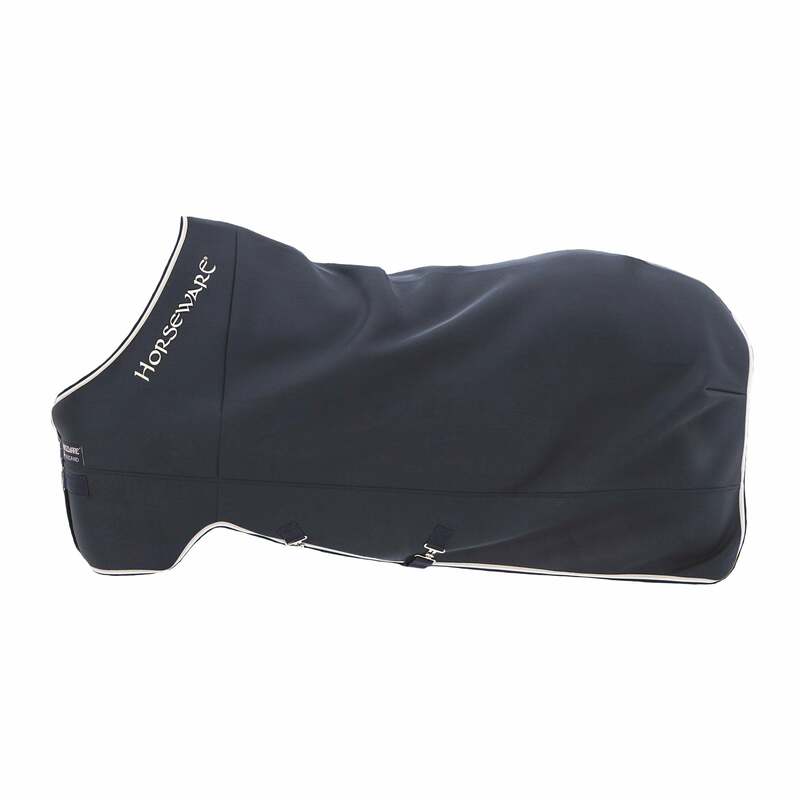 This cooler rug is super breathable and lightweight and is incredibly effective at ventilating the horse and encouraging sweat to be released effectively. Due to the airspace created between the two layers of this rug the Rambo Airmax Cooler can also be used under other rugs in the winter to provide an insulating layer with a similar effect as the traditional string vest.